Cruising has plenty of biggest, first, and most wonderful accomplishments. The Judi’s Choice Awards recognize the best of the rest. Best Onboard Freebie: Europa 2’s carry-on, flung on your cabin’s bed like an afterthought, is in fact a sturdy and attractive piece of luggage that emerges unscathed even when checked at the airport. It puts all those lame canvas and nylon things to shame. The “Be Careful What You Wish For” Award: Cuba! Ship after ship is lining up to visit Cuban shores. We want to visit Old Havana, smoke a few cigars, and marvel at those old classic cars. Proud Cubans will be eager to greet us … until they discover nine ships in their harbor and how obnoxious we are after guzzling rum punch. 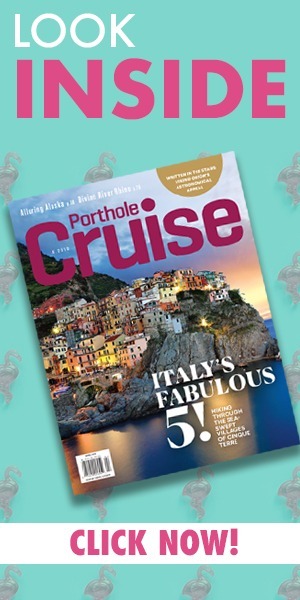 Most Appealing Cruise Executive: Norwegian Cruise Line’s Andy Stuart wins this one hands down. Those slightly exotic features, that cool British accent. Face it: The guy’s hot. The Most Refreshing Recruiting Strategy: Virgin Voyages! Have I mentioned I adore Richard Branson? Well, not only is Virgin Voyages on track to revolutionize cruising, but they’re hiring! And doing so without all that corporate mumbo jumbo. Applicants need only provide their name, email address, department they’re applying for, and one or two sentences about themselves. That’s my Richard! Most Bizarre Theme Cruise: This was a tough one, but the Judi’s Choice Awards goes to Carnival Magic and its Pez Collector’s Cruise on October 28, 2017. What kind of activities could possibly be planned for that little shindig, I wonder? Is the pastry chef going to demonstrate how to make homemade Pez? And who would actually want to eat Pez, homemade or otherwise? Runner-up in this category is another Carnival sailing: the 5-night bereavement cruise aboard Carnival Paradise … which, for the occasion, will be known as the “sad” ship. Worst Onboard Position: Whoever the poor soul responsible for the cleaning and maintenance of the fire hydrant and lamppost at Cunard Line’s Queen Mary 2 dog-and-cat kennel has all of our sympathy. But we won’t be shaking his hand anytime soon. Best Décor for Judi’s Apartment: Oceania Cruises’ Sirena: Warm and homey. Pssst: Oceania! If you’re ever gonna dump that gray print couch with the red-and-yellow–striped throw pillows, I’ll take it. Best Onboard Christmas Decorations: Crystal Cruises. Compared with Crystal, the Rockefeller Center Christmas tree looks like it was selected by Charlie Brown. Best Bathrobes: Celebrity Cruises. While I don’t know this firsthand, I was recently docked alongside Celebrity Equinox and faced a sea of balconies, each occupied by a guest sporting a bathrobe. So either Celebrity bathrobes are really nice or their guests aren’t into packing much. The Most Thoughtful Cruise Line: ANY line that still provides those little holders for cabin key cards instead of letting them juggle around in your bag and become demagnetized — something you’re likely to discover when you really, really, really want to get in and use the bathroom. Best Line to Keep Up with Words with Friends: Viking Ocean Cruises! With free Wi-Fi, you can cheerfully compete during pool breaks, before dinner, or anytime at all! 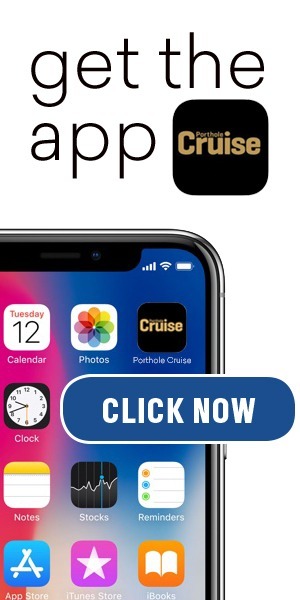 And that sure beats having to spend $150 on an Internet connection when all you have is four “U”s and three “E”s. 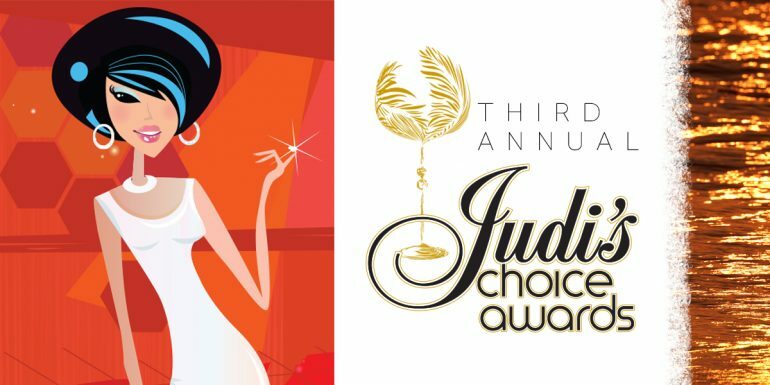 Happy holidays and congratulations to all of this year’s Third Annual Judi’s Choice Awards winners!